If your plan is to recover and grow your muscles, the first 45 minutes after a workout are the most important period to refuel your muscles with all the nutrients they need. Fail to do so and you will miss out on a fantastic way to make proper gains. These four supplements are our honest recommendation, and if you can find a product that contains all of them in a single scoop – go for it. 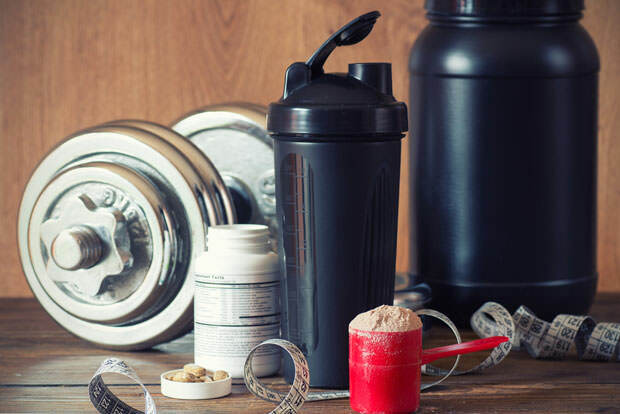 Protein supplements contain one of the most important nutrients for muscle building. Protein (amino-acids) is the molecule that our muscles are made of, so they need them to recover and become bigger and stronger. These proteins need to be fast-digesting so your body can quickly take in the nutrients it needs to synthesise the amino-acids that build muscle. However, you should also look for a slow-digesting protein to prolong this muscle synthesis over extended periods of time since not all of the recovery happens right away. Carb-based supplements are also essential, and should be consumed right after the workout. When you exercise, you use up energy which is stored in glycogen. If you don’t recover the energy by eating carbohydrates, your glycogen reserves will be limited the next time you work out, which will hinder your performance and make you feel sluggish and tired. Creatine should be taken after a workout because that is when the body is most primed for recovery. It can also be taken prior to the workout because it supplies the body with ATP (Adenosine triphosphate), which is the way we get energy through food intake. Studies show that creatine use can boost muscle strength by as much as 10% and increase lean mass gains by 10 pounds. Leucine, isoleucine, and valine – this is what branched-chain amino acids (BCAAS) consist of, and you need these three amino acids very much for muscle growth. Leucine especially, since it spikes your insulin levels, leading to easier absorption of the fast carbs, creatine, and amino acids into the muscle cells.